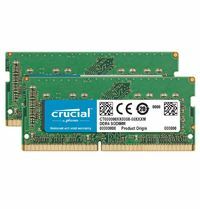 Take the guesswork out of upgrading your Mac with Crucial memory for Mac systems. Since Apple® computers often have very specific memory requirements, including particular component densities, speeds, and SPD programming specifications, it's important to use memory that's engineered for your Mac. With more than a decade of experience manufacturing and developing memory for all types of Apple computers, trust Crucial memory to optimize your Mac system's perfor­mance.